Last year Audi made a bold move by dropping its convertible and V-6 engine variants from the A4 lineup, leaving just the turbocharged 2.0-liter to power both the sedan and avant. Your choices may be fewer, but going back to basics means that the A4 isn't making compromises with expensive larger engines or outdated technology (see 2009's V-6 and convertible if you don't believe us). The A4 still sports what is considered to be one of the best interiors in the class, with quality and refinement that is hard to beat. Exterior styling – those LED-accented headlights! – is modern and unique as well. The third-generation MMI (their infotainment system) is continuing to improve, handling is impressive, and one benefit of the smaller engine is that the A4 boasts superior fuel economy, even with Quattro all-wheel drive. New for 2011 is an eight-speed tiptronic automatic transmission, an additional factor behind its reduced fuel consumption. In fact, the A4 is easily one of the stronger contenders in the bunch, but expect the BMW 328i, Mercedes-Benz C300 and Infiniti G37 to put up a good fight. And if you really need a drop-top or a V-6, the A5 and S4 are ready and waiting for you to take a test drive. The Quattro all-wheel drive system continues to be one of the best in the industry. The interior's design is clean and simplified without being boring and comfortable. Fuel economy is great. While the MMI is great, the navigation system is overly complex, with unintuitive commands and odd menu choices. The gearbox is a little sluggish from first gear, and the engine offering is underpowered compared to rest of segment. While driving the Audi A4 Quattro, one is immediately aware of the balance it strikes. 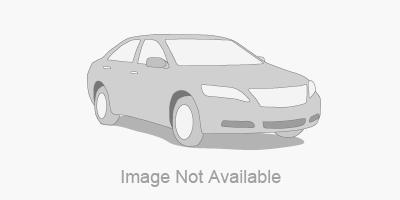 One part luxury sedan, one part performance sedan. On the luxury end, the drive is whisper quiet and smooth. The forgiving suspension controls irregularities in the road without softening it beyond feeling. But when it comes to performance, the turbocharged engine delivers solid acceleration despite, on paper, not having the numbers of the V-6s out there. Handling is taut, and the Quattro all-wheel drive system is a standout. It sends power to the wheels that need it, resulting in a vice-like grip around corners. Sport mode keeps the rpms higher to give you nearly instant power should you need it. The tiptronic gearbox isn't as fast to shift as we'd like it to be – we're not sure eight gears were necessary, but you won't find any turbo lag in this car, so acceleration still feels quick. 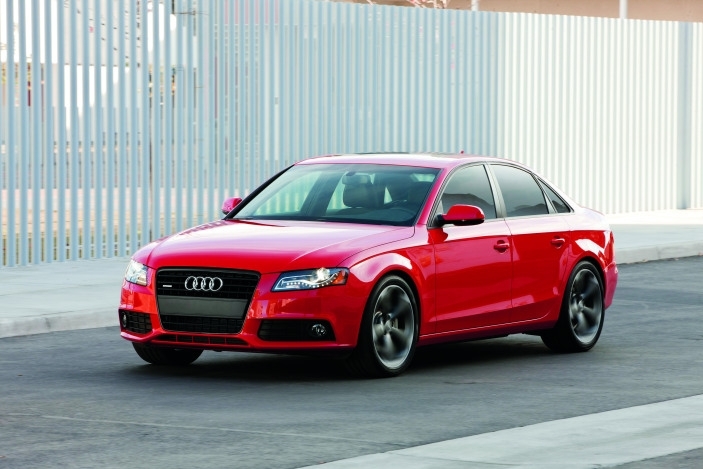 The A4 is powered by a 2.0-liter turbocharged four-cylinder engine that produces 211 horsepower and 258 lb-ft of torque. It's a small engine compared to others in its class – most of them have 3.0-liters or more – but the A4 still clocks a 6.4-second 0-60 mph time with its six-speed manual. Other gearbox choices are a multitronic continuously variable transmission (coupled with front-wheel drive) and an eight-speed tiptronic transmission. Both the manual and eight-speed are available with Quattro all-wheel drive. Even the Premium A4 – the base trim – is well appointed and includes leather seats, a 180-watt, 10-speaker audio system with satellite radio functionality, steering wheel-mounted controls and a sunroof. Comfort features like rain-sensing windshield wipers and heated front seats are available on higher trim levels, so is Bluetooth connectivity and a stellar Bang & Olufsen sound system. While the A4 has a host of safety features, one stands out: Brake Assist. The system senses emergency braking and applies maximum power boost to decrease speed and keep you safer. For a navigation system, the A4 uses the third-generation MMI, which is set within a seven-inch LCD screen on the dash. The system has two SD card slots for mp3s, HD radio technology, real-time traffic and 3D topography. Ipods can be connected through a cable in the glovebox. Audi's parking system consists of a rearview camera (which is only available with the LCD screen) and rear parking sensors. Because of its smaller engine and turbocharger, the A4 has an advantage in this area. Depending on your transmission choice, gas mileage varies from 21-22 mpg in the city to 29-31 mpg on the highway. Interior design is a strong suit for Audi in general, and the A4's cabin is beautiful. Controls are laid-out in an elegant way that keeps it from looking cluttered. Gauges are bright and clear, and the MMI interface is easy to use. The rear seats fold down to allow for more cargo space, and there's plenty of legroom in front – though the rear can be cramped with three passengers. Audi has made its LED-rimmed lights instantly recognizable, which is an interesting design choice for a brand that flew under the radar for so long. Its signature grille remains. 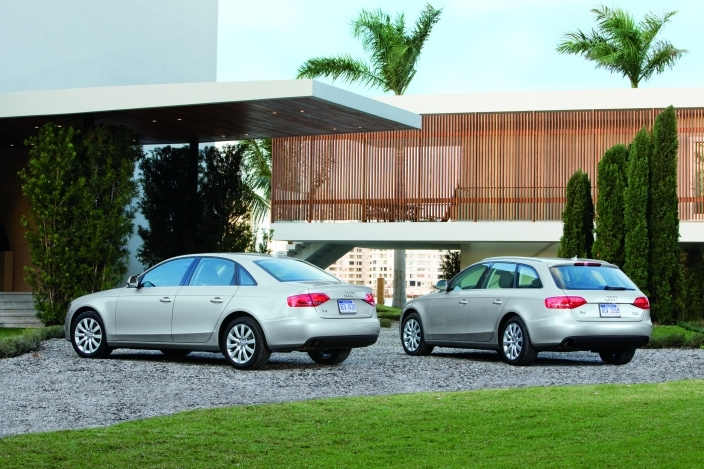 The A4 is sleek and compact looking – in either avant or sedan body style. The avant has considerably less cargo space than we'd expect, unlike the sedan, whose trunk is roomy. 17-, 18- and 19-inch wheels are all available, either standard or via packages. The luxury sedan market is a profitable one, so competition is tight. It's also a segment that the Germans seem to have on lock – with the A4's direct competition coming from the BMW 328i and Mercedes-Benz C300. We'd be remiss not to mention Infiniti's G37 and Lexus’ IS, however. MSRP for the Premium is $32,300, but expect to pay at least $41,800 for the top-of-the-line Prestige trim. Audi continues to offer a single engine choice for 2011, making it a less powerful – though hardly less desirable – option than its competition, especially considering the 2.0T produces only slightly less power than most V-6s and is more efficient overall. Consistently impressive handling, upscale styling and regularly updated technology prove that the A4 is a mainstay in this market.